Given a chance to push the last man standing against Jacob deGrom out of the National League Cy Young race, the Mets at least prevented Max Scherzer from changing the texture of it. 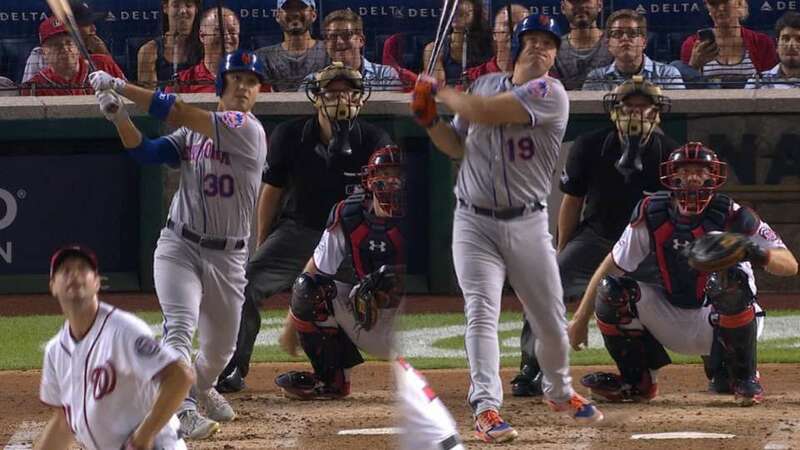 Michael Conforto and Jay Bruce hit back-to-back home runs on Thursday, ensuring that Scherzer — the only NL pitcher who still had a chance at reaching 20 wins — would not reach that mark. His no-decision was long in the books by the time Jose Lobaton hit a 12th-inning sacrifice fly to give the Mets a 5-4 win over the Nationals.